Employment of and support for paleontologists in industry is on the decline at a time when paleontological data is increasingly important for understanding global issues and finding new oil reservoirs. In the world of fossil collecting, the line between legal and illegal is sometimes hard to see. method to manage life byond the degree. the world's most active volcanoes. Fuxianhuia is an arthropod from the Lower Cambrian Chengjiang Fauna in Yunnan Province, China. 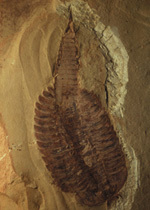 The exceptional preservation of early animals from this deposit is similar to the Middle Cambrian fossils of the Burgess Shale, providing an important window into the Cambrian metazoan radiation. Photo by Chip Clark of the Smithsonian Institution's National Museum of Natural History.